Competitive League of Legends has grown past just the five-player line-up. Coaching staff and more people in charge of training, guiding, and managing players are becoming necessary for a successful team eyeing a spot at the top of the League Championship Series. 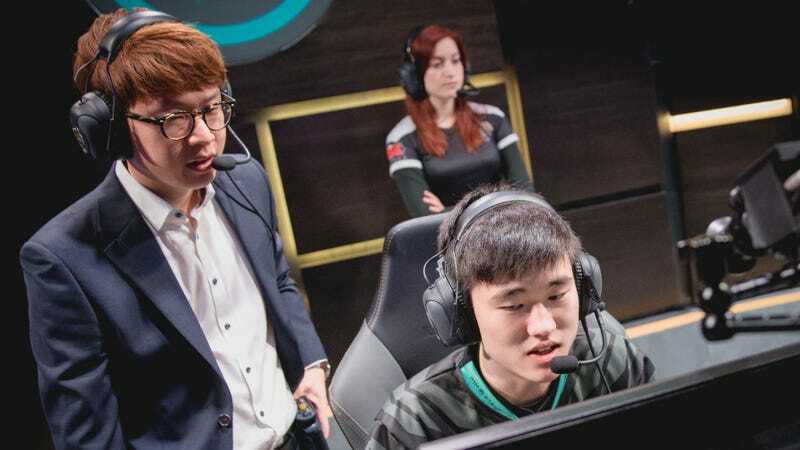 Or so says the coaching staff for the Immortals, who spoke to me over Skype about their process, structure, goals, and ambitions as one of the largest support structures in the North American LCS. We reached out to them after a commenter inquired in April about what a coach for an esports team actually does. In most ways, the dynamic between players and coaches isn’t unlike what you’d see with traditional sports teams—just maybe with a little extra life management. Immortals’ League of Legends team has seven players: five starters, two subs. Its coaching staff is composed of five members, including head coach Kim Sang-Su (known as SSONG), team manager Jun Kang, coach Robert Yip, head analyst Brendan Schilling, and analyst Nick Luft. It’s a stark contrast to the early days of League and even modern esports teams in other games like Dota 2, which can often get by with a single coach-slash-manager or less. A day in Kim’s life usually goes something like this: The head coach wakes up and, during the weekday, manages the team’s scrims. One set of scrims, break to rest and eat, then back to scrims. 10 a.m. to 5 p.m., it’s focused training for the Immortals squad, and after that, Kim sits down at his computer to watch matches and study strategies, from North America to Korea. Kim celebrates with Olleh after an LCS match. Kim’s focus tends to be on building teamwork and achieving milestones. He’s working with five different players who operate at the top of their game in each role—the trick isn’t always getting them to play better individually, but together. The head coach also diffuses arguments and helps to mediate discussion, but big picture strategy is often Kim’s purview. Identifying mistakes, reinforcing good habits, and checking off mile-markers for improvement makes up a good portion of Kim’s role in the team. Still, he tries to keep things lighthearted. Robert Yip, another coach on the team, came into the League of Legends scene in 2012, at a time when most coaches were former pros, recycling the talent pool. While many modern coaches are still former pros or high-level players, like Kim and Jun, support staff membership has been expanding to those with different schools of thought. People with sports backgrounds, physiotherapy or athletic training, are becoming advantageous in a league system that resembles modern sports structures more every day. This manifests in the larger support staffs for teams like Immortals, where Yip’s role is performance coach, a new trend in esports. Unlike Jun or Kim, Yip hails from a sports coaching background. Strength and conditioning, sports psychology and health are his fortes, and Yip’s focus is to make sure the team is exercising, sleeping and eating well, and staying emotionally sound. Like physical therapists Matt Hwu and Cait McGee, Yip works with players on posture, stretching and fitness to make sure they don’t incur any injuries that might inhibit their performance. 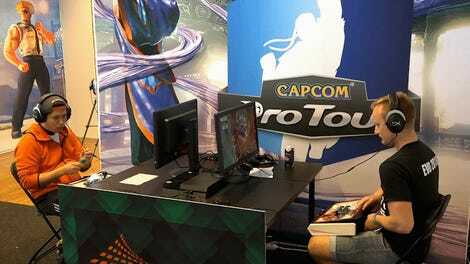 There’s not a lot of physicality involved in esports, as Yip mentions, so players spend time doing core exercises and wrist stretches so they don’t succumb to injuries. Jun’s role as team manager tends to be twofold: One part is handling the logistics of the team itself. From mediating arguments and overseeing the team’s scrim schedule to waking them up in time for practice, Jun handles the day-to-day of Immortals. “I’m basically the dad,” Jun tells me. His other role is being a bilingual go-between for the players. Head coach Kim is from South Korea, and Immortals’ players hail from South Korea, China, America, and the Philippines. Though English is a common enough through-line, Jun often handles translation for Kim during team meetings and interviews, including our own. Though his duties have become more focused on play than the day-to-day logistics in the last year (the team has hired a cook, which Jun was happy about), it was clear Jun was the Cliff Gardner to Immortals’ organization. All these moving pieces, from strategy discussion and scrimmaging to physical well-being and teamwork discussion, culminates every weekend in the week’s LCS matches. It’s at this point that the coaches have to let the players fly—unlike football, basketball, or even games like Counter-Strike: Global Offensive, coaches are only able to talk to the team during their draft and for one minute after the draft has concluded. The rest is up to the five players, led by their in-game shot-caller. At that point, Kim and the others can review what happened and reinforce better ideas, starting with basic concepts. One that came up was improving communications, a general concept but one critical to a game where operating as a whole unit rather than five individual players tends to make the difference in late-game fights. As franchising looms on the horizon, the coaches had different opinions of what it would mean for their roles. Kim believed it would put more pressure on players and coaches to perform, as you’re now a permanent representation of a brand. Yip sees teams taking more chances, bringing in more coaching staff like himself that can focus on minutiae or out-of-play concerns. Positional coaching, having a literal mid-lane coach or bot-lane coach, was brought up. It’s an asset some teams already utilize, similar to a quarterback coach. But even greater, organizational assets become possible as established brands can bring on performance coaches to not just work with their League team but their Overwatch, Counter-Strike, and fighting game players as well—a rising-tide of support staff. Where the former days of League had team houses encountering health concerns and fire hazards, a growing coaching staff scene is raising the bar for competition, allowing players to focus on the game with expert support. As that grows, cultures and processes can emerge for teams, building eras and dynasties rather than just brands.